If you click on this link you will get straight to a great video on YAU 300 mile competitors Ottmar Flepp and Filippo Genucchi from Switzerland. Filippo won the 300 miles in 2012 and Otti won this year. However, in 2013 Filippo had a serious problem with a frozen toe that made him scratch at Pelly Crossing. The language of the video is Italian but it gives some great impressions from the race. It also teaches the lesson that even the most experienced athlete can run into a problem. So, always try to be as prepared as possible! 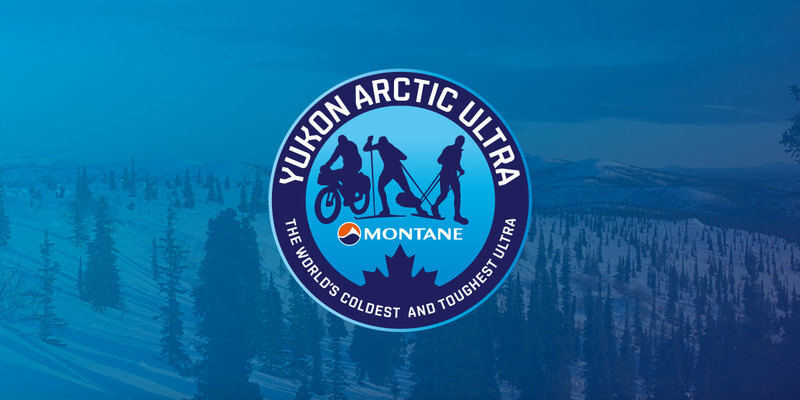 The harsh conditions of the Yukon Arctic Ultra demand the best in winter traction devices – in particular, a durable and light-weight product that will last the distance. Based in Vancouver, Canada, Hillsound creates a range of high-quality winter traction devices and is proud to be a sponsor of the YAU in 2014. With their help we can rent out great traction devices for an inexpensive rate. YAU athletes can rent Trail Crampon Ultra for CAD 20 (first come, first serve). If you are interested, please let me know. For more information on Hillsound products, visit our website at www.hillsound.com. In past years we have always had a few athletes who did not bring along all their forms. Needless to say that this caused a lot of last minute stress for both sides. That is why for 2014 I would like to try something new. All athletes please send all paperwork (originals) by January 15th, 2014 at the latest to Robert Pollhammer, Rathausplatz 14, 82467 Garmisch-Partenkirchen, Germany. Yukon residents can hand-in their paperwork to Shelley Gellatly. Since it is possible that something gets lost in the mail, please make yourself a copy of your filled in forms and bring these along to Whitehorse. The SPOT units are delivered by Trackleaders.com WITHOUT batteries. So, if you rent a SPOT please bring along 3x AAA Energizer Lithium batteries. And it is important that you get specifically these batteries. Due to the cold temperatures regular batteries won’t last long enough. As alread mentioned in the news update from November 25th, we will be using SPOT tracking devices again. For the 300 the SPOTs are mandatory. For the 100 miles the SPOTs are optional. You can bring your own SPOT or you rent one from us. If you bring your own there is a charge of EUR 20.00 to include you in the system. If you rent the charge is EUR 50.00 all inclusive. All 300 milers please let me know by December 20th, what option you want to go for (rental or using your own)? Any 100 milers intersted in using a SPOT, please let me know by the same date. If I don’t hear from you I will be assuming you don’t want/have a SPOT and are not interested in using one. We have been renting satellite phones from Total North pretty much from the beginning of our race. And always have we had perfect equipment and the best possible service. Therefore, I am very happy that for the YAU 2014 this local communication services specialst will be supportung our event. If you want to rent a satellite phone for the YAU yourself or find out more about this company, please check out their website. 100 and 300 milers please don’t forget that you need to participate in our training course if you do not have prior experience with the extreme cold. If you have not already done so, please send an email to info@thegreatoutdoors.de when you want to sign up. If you participate in the YAU and want to travel before and after the race by rental car Driving Force has got an interesting deal. They have offered YAU athletes and accompanying family members a 20% discount on rental fees. If you are interested please send an email and we will direct it to the right contact.